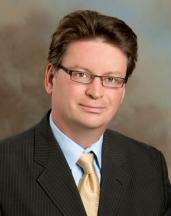 Attorney Profile, Christopher J.W. Forrest | Miller & Steiert, P.C. 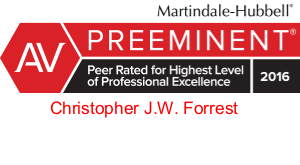 Chris Forrest graduated Order of St. Ives from the University of Denver College of Law and has been individually rated (AV) by Martindale Hubbell since 2001, the highest possible rating for both legal ability and ethical standards. For nearly 20 years, Chris has prided himself on providing practical, proactive legal advice to individual, corporate, and institutional clients throughout Colorado. Prior to joining Miller & Steiert, Chris was a shareholder and director with Hamilton, Faatz and Waller in Denver and Greenwood Village. Chris provides business and corporate advice, including advice related to sales and acquisitions, commercial leasing, contracts, real estate conveyance and financing; broad commercial litigation representation including contracts and other business disputes, commercial and residential construction defect claims, religious entity law, advice regarding employment disputes and compliance, including ADA, ADEA, Title VII, Colorado Wage Act, FLSA compliance, and administrative proceedings before EEOC and DORA-Colorado Civil Rights Division; representation in administrative proceedings, C.R.C.P. 106(a)(4) appeals and interlocutory appeals regarding governmental immunity, defense and pursuit of 42 USC §1983 actions in federal and state court; representation of public pension funds in litigation and administrative matters; and appellate practice before the Colorado Court of Appeals, Colorado Supreme Court, and the 10th Circuit. University of Denver College of Law, Denver, Colorado, 1993, J.D. Colorado State University, Fort Collins, Colorado, B.S. Board Member, Roundup Fellowship, Inc.
Board of Directors, Earthlinks, Inc.